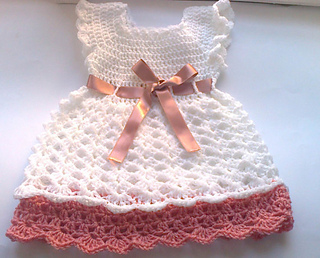 This dress is very special. 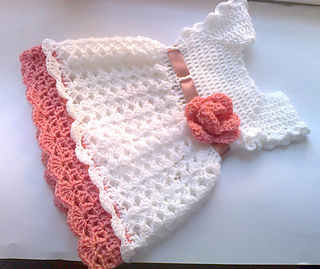 It is a beautiful and elegant, perfect for any special occasion- Christmas, a birthday and lots more! 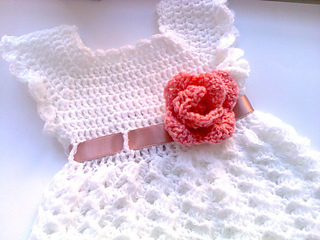 Made in white soft acrylic yarn with a beautiful pink crochet flower detail . Dress ties in a pink ribbon in the back. Size:Directions are for size newborn. Changes for sizes 0-3, 3-6, 6-9, 9-12 are in parentheses.